A court in Feni has granted the police five days to grill Nusrat murder suspect Kamrun Nahar Moni who allegedly poured kerosene on Nusrat the day she was set on fire. 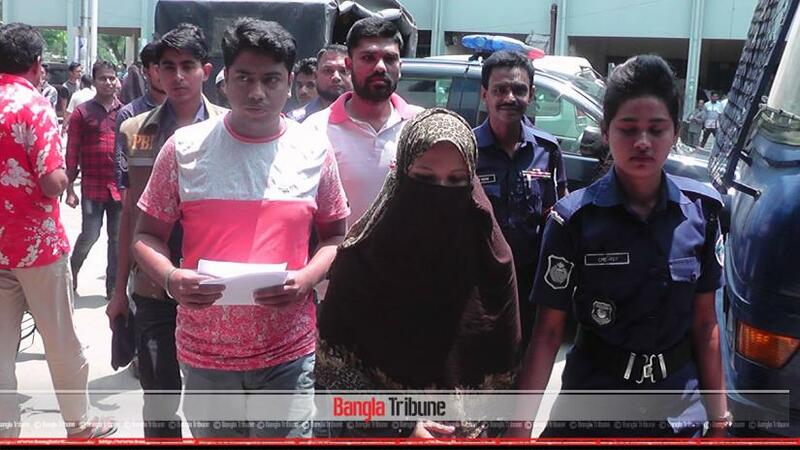 Senior Judicial Magistrate Sharafuddin Ahmed gave the order on Wednesday (Apr 17) noon after Police Bureau of Investigation (PBI) produced Moni before the court with a 10-day remand plea, said PBI Additional Superintendent Moniruzzaman. The police arrested Moni from in front of Sonagazi Islamia Senior Fazil Madrasa on Tuesday (Apr 16). So far, PBI has arrested 15 people in connection with the incident and one of the prime suspects Nur Uddin has already confessed that they carried out the fatal attack at the behest of principal Siraj-ud-Daula.